Do you follow a lot of news sites and blogs and find that you’re spending so much time going to many different websites? You can make it a lot easier on yourself if you take advantage of RSS feeds and apps to collect them all. RSS feeds have been around for awhile, so you may have heard of them before, but have you taken advantage of some great apps that can help you harness RSS feeds on your mobile devices? This Thing is for you. Use at least one of these apps and add some content to it. Write a blog post about what you think about reading content this way and how you could use these apps personally or to stay on top of professional readings. If you know of another app that would fit under this Thing, tell us about it in your blog, too. Flipboard allows you to add pretty much anything you’d like to create an eye-catching personal magazine. You can add content from newspaper websites, blogs, your Facebook, Twitter, and Instagram accounts, and even content from places like Etsy. 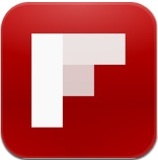 Click here for help getting started with Flipboard. Zite is a smart personal magazine in that it knows what you like. When you build your Zite magazine, you tell Zite about what you like and it populates your magazine. Then it tracks what you read and continues to populate your magazine with things it thinks you may like. 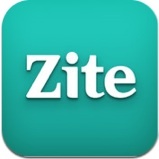 Click here for help getting started with Zite.